Locally grown and produced by Crepevine! 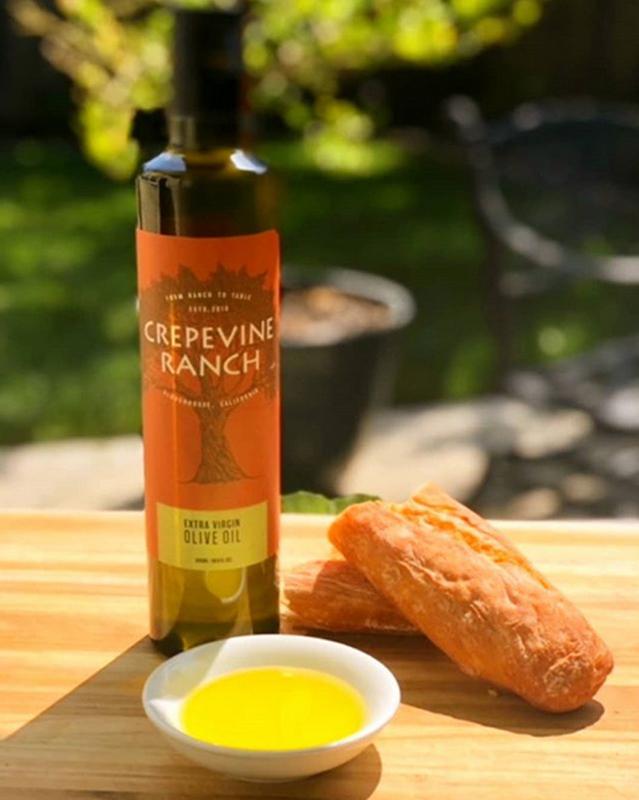 1.1/2 cup Crepevine Ranch Extra-virgin olive oil (EVOO). 7. crusty bread for dipping. Arrange alternate slices of tomato and mozzarella cheese decoratively on a serving platter. Sprinkle with salt and black pepper. 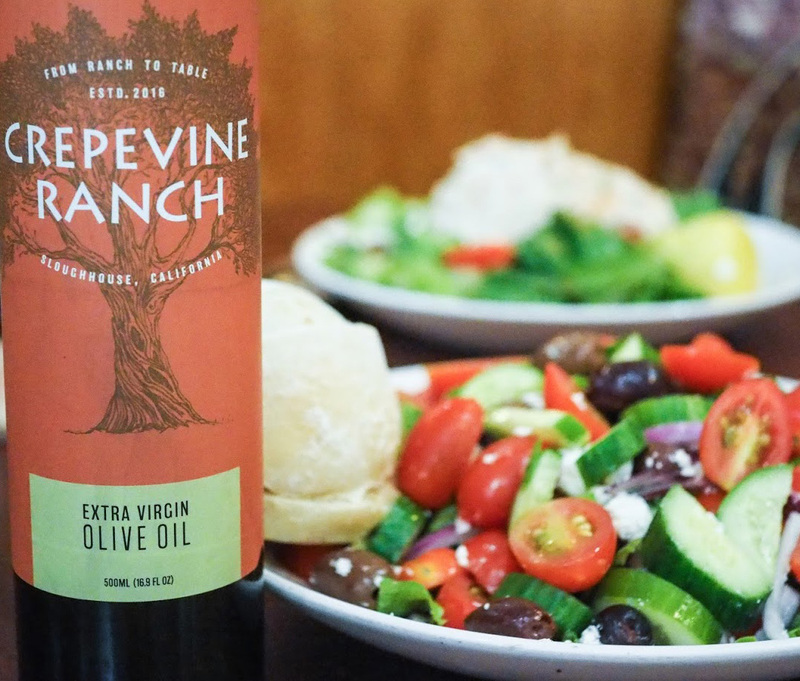 Spread fresh basil leaves over the salad, and drizzle with Crepevine Ranch EVOO and balsamic vinegar. San Francisco, San Jose, San Rafael, Santa Rosa.